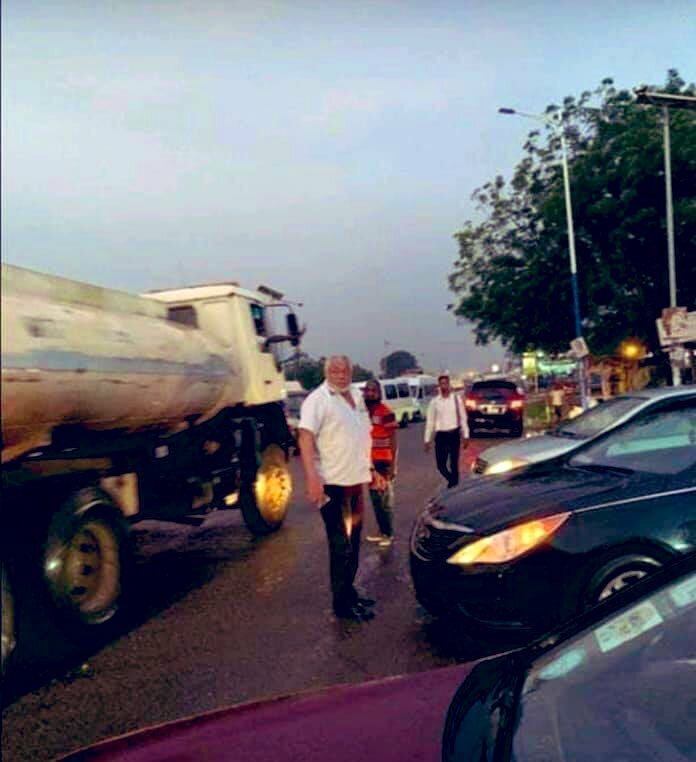 Ex-Ghanaian President, Jerry Rawlings Seen Controlling Traffic In Accra (Photos+Video) - AutoReportNG "AutoReportNG-The No 1 Car Blog In Nigeria That You Can Trust - AutoReportNG"
Looking at these images and pictures, I am forced to ask, can this happen in Nigeria? Can former Presidents like Chief Olusegun Obasanjo, Abdulsalam Abubakar, Goodluck Jonathan, IBB, among others get out of their cars and control the traffic just as former president of Ghana, Jerry John Rawlings? 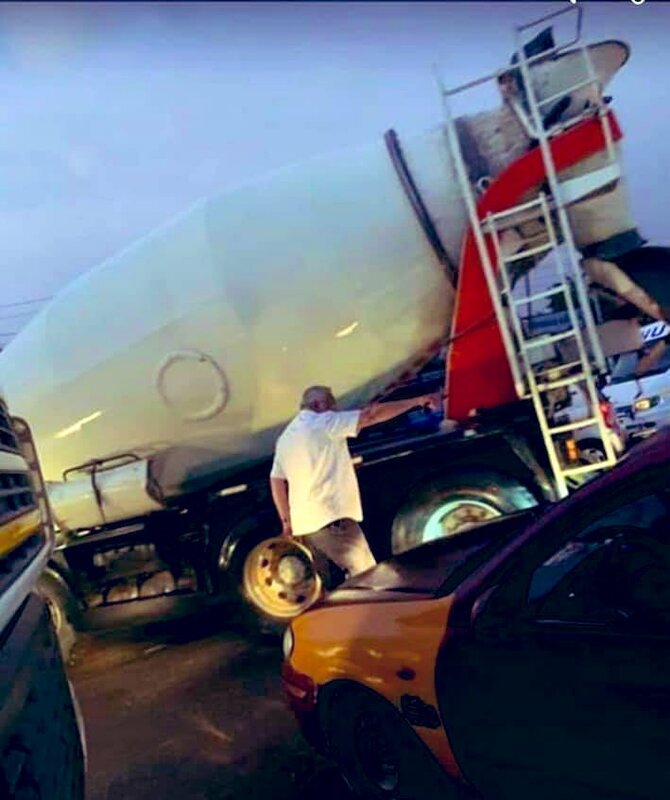 In a video that was trending online, former Ghanaian President, Jerry John Rawlings was seen busily controlling a heavy traffic situation on the Accra-Prampram road. The Former military ruler got out of his car to intervene on the heavy traffic situation that seems to have halted the road and brought the cars to a standstill. Rawlings, according to reports, has noticed the indiscipline on several occasions of motorists and therefore decided to “step out and direct traffic and bring a sense of orderliness”. He has since made a passionate appeal to joint police and military operation to be posted to the area to manage traffic and ensure discipline. Mr. Rawlings was seen in a picture making some gestures to drivers and road users in the middle of the road. He can be heard telling one driver to move back, move back!